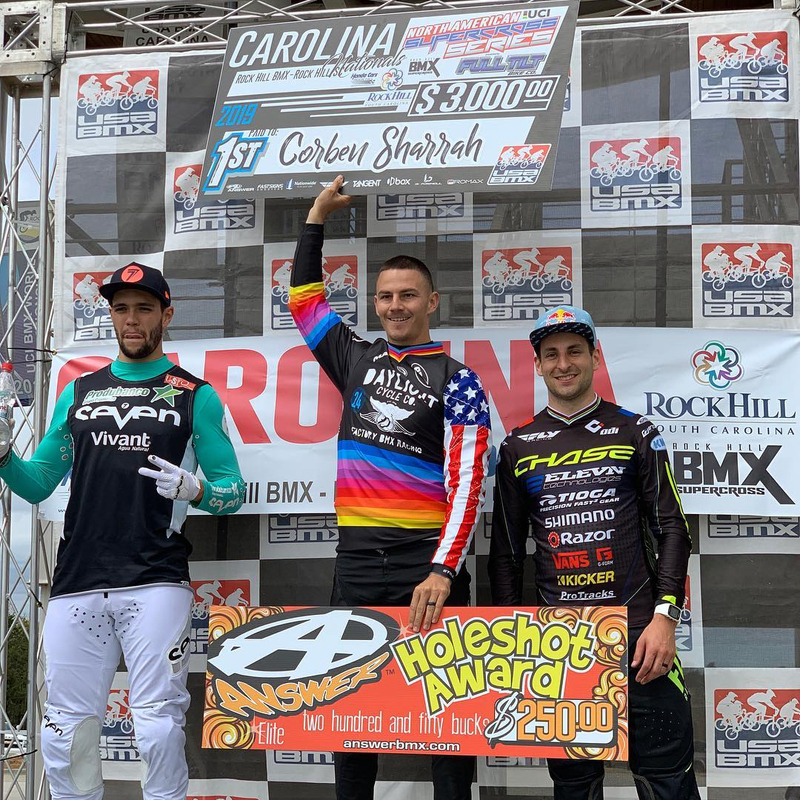 Rock Hill, SC – Joris Daudet headed off to one of the premier BMX tracks in the USA, the Rock Hill racing Facilty, for the 4th stop of the 2019 USA BMX Pro Series. Heading back to the Big Starting hill. Joris was excited to race once again in Rock Hill. But even the best riders in BMX make mistakes, and Joris started off the race day on Saturday with that, as he made a mistake don the hill and had to abort the 1st lap of the day. But a true champion is one that can persevere thru adversity and Joris did just that, as he would fight back the rest of the day and come mean event time, he was able to finish 2nd for the day. That never give up attitude is what has earned Joris 3 USA BMX #1 Pro titles. On Sunday, Joris was once again back atop the big hill and was hungry for a win. When the gate slammed in the main event, Joris was battling for the top spot, but was held back to 3rd for the day. Joris sits atop the USA BMX Pro points, but is always looking for a win. 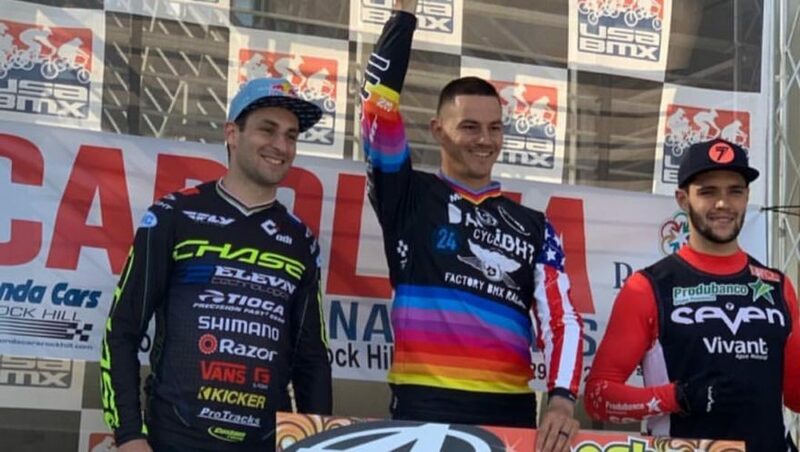 He now has a small break on the USA BMX tour as his next event will be the UCI BMX World Cup season opener in Manchester, UK. Chase BMX is proud to have some of the best sponsors in BMX today. The Chase team is proudly sponsored by Fly Racing, Shimano, Razor, Tioga, ODI, Elevn, Vans, KMC Chains, Tangent, Pro Tracks, Insight, Excess BMX, and ONYX.